As indicated by its title, Bruno Sanfilippo, an Argentinian piano virtuoso based in Barcelona, Spain, revived on this collection mostly rare tracks, which previously appeared on some compilations or remained unpublished from various recording sessions. Packaged in a simple, but elegant cardboard sleeve, "Lost & Found" CD was released through ad21 at October 19th, 2017 in limited edition of 300 copies. Credit list includes Francisca Pageo for haunting artwork, while Ian Hawgood is responsible for the mastering duties. 5-plus minutes long "Peter" unfolds this gorgeously evocative journey with introspective piano quietudes, meandering from warmly poignant through fragilely immersing to lyrically pinnacling, while persistently surrounded by enveloping playground field recordings. Deliberately narrative and exquisitely nuanced reflections fully reveal its magic. Bravo, Maestro! This track is resurrected from "Ambientblog Anniversary Collection" released in 2015. Nearly 8 minutes long "InTROpiano" is the only exception on this collection as this composition has already appeared on "InTRO" album, originally published during 2006. Richly textural palette takes the listener into magnificently engulfing sceneries, here and there inconspicuously permeated by nocturnal tranquility. As much intensely expressive as balmily saturating, what a beauty! "Piano Texture Found" is taken from the same titled EP released on Italian netlabel Laverna in 2012. Hissy and glitchy nostalgic blankets continuously titillate and commingle with intangibly undulating piano patterns. "Solitario", at 11:35 the longest piece on "Lost & Found", belongs to the same EP as its predecessor. Pensive minimal piano tapestries are masterfully amalgamated with resonating silent vistas and ear-tickling piquant, subterraneanly infused traceries. Tremendously engrossing texture! The closing bonus track "What I Dreamed", which clocks over 5-minute mark, is unpublished piece found on the hard drive. This composition immediately baths my ears with poetically euphoric and heartwarmingly blossoming lyricism, meticulously reinforced by glimpses of weeping bowed strings. A truly masterful conclusion at its most passionate and joyful, muchas gracias, Bruno!!! Although getting only over 36 minutes, "Lost & Found" is absolutely fabulous collection of pieces, abundantly fragranced on one side, but still enough compact and it could easily work as an album. In any case, I am very glad this highly accomplished pianist has decided to document these tracks through "Lost & Found" CD. 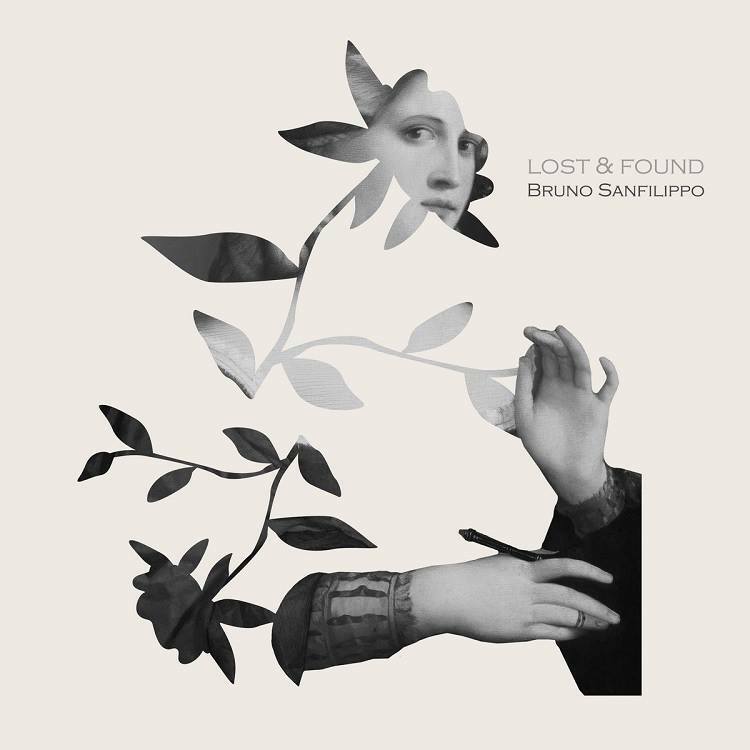 I can only repeat again and again, Bruno Sanfilippo with such emotive bravura is one most gifted composers within modern classical ambience these days. So once more, bravo Maestro!!! Few more proofs are always on the hand, for example remastered and expanded version of "InTRO", released on ad21 during September 2018 or the latest two virtuosical albums "Unity" (on Dronarivm, February 2018) and most especially the newest album "Pianette" (on ad21, January 2019), which might be considered as Bruno Sanfilippo's magnum opus. All creative insignias of its sole protagonist deserve to be praised and celebrated exhaustively!! !